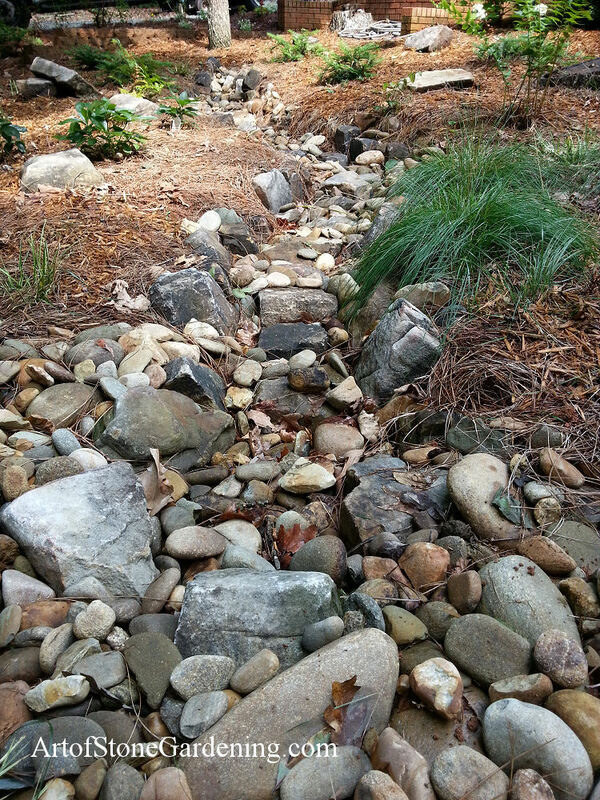 The front yard of this home had a drainage problem. The downspouts were not channeled away from the house and this caused water damage to the foundation. 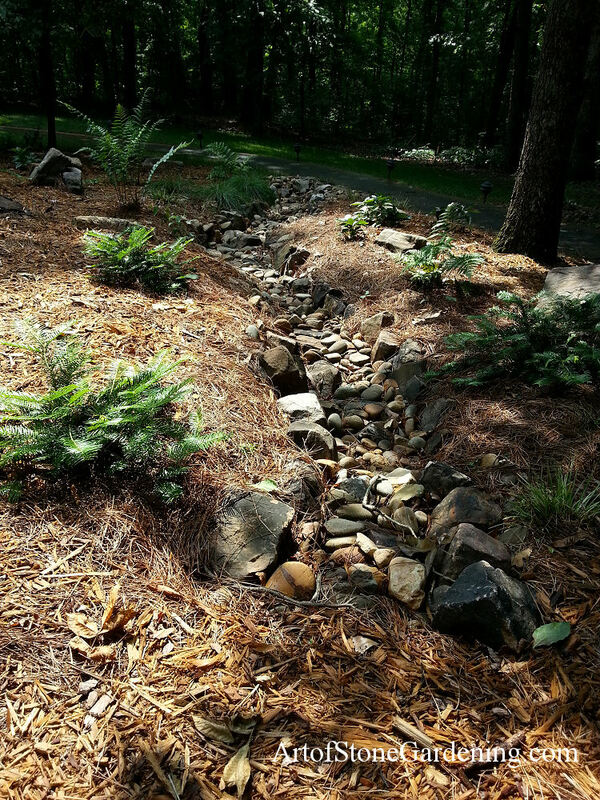 We directed the downspouts to the side yard and added a dry creek bed with plants to ensure no water lands anywhere near the home.